Pumpkins are great for a lot more than making jack-o’-lanterns. One cup of mashed pumpkin has only 49 #calories and is loaded with vitamin A in the form of beta-carotene. It also has nearly 3 grams of fiber and 564 milligrams of potassium. Pumpkin also contains vitamin C, lutein and zeaxanthin (good for eye #health), as well as iron and zinc. Simply wash, dry and then toast them with garlic powder, onion powder and a bit of salt and pepper. They take about 30 to 40 minutes at about 300 degrees to toast. Pumpkin seeds are little nutrition powerhouses. They’re loaded with manganese, magnesium, iron, copper, vitamin K, zinc and protein. 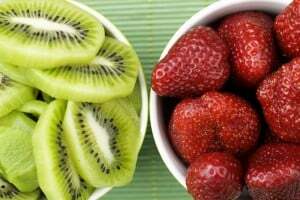 One ounce has 158 calories, along with 8.57 grams of protein, 1.7 grams of fiber and almost 25 percent of the recommend daily value for much-needed iron. Pumpkin seeds also have phytosterols — plant sterols that can help reduce the risk of heart disease — and they help to fight cancer. 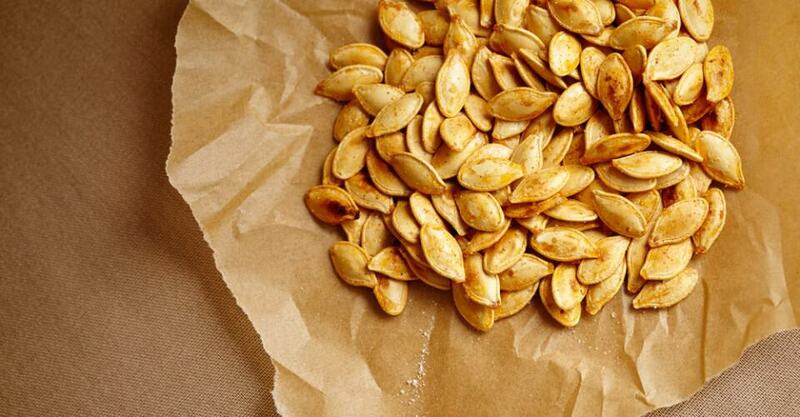 The American Institute for Cancer Research even offers a few recipes for pumpkin seeds. Last but certainly not least, they are a fantastic source of omega-3 essential fatty acids (which the body must obtain from food sources). Each one of those Hershey “Fun” bars has about 75 calories. A Nestle Crunch mini-bar has 60 calories, and just three pieces of Tootsie Roll Midgees have 70 calories. What about those Hershey’s Special Dark miniatures? They’re each 38 calories, 0.6 grams of fiber and 0.6 grams of protein. One (15-tablet) roll of Smarties has 25 calories and 25 grams of sugar. The candy corn has 150 calories for 20 pieces. That’s 7.5 calories each — about the same as one almond, except that the almond is a nutrition powerhouse and the candy corn — well, it’s just junk nutrition. One roll of Pez has 35 calories and 9 grams of sugar. And remember that most of these candies contain dyes that have been associated with hyperactivity in kids. Each Halloween-size Twizzler has 28 calories, and there are five per package for a total of 140 calories — along with red dye number 40. For eight pumpkin Peeps (32 grams) the calorie cost is 110, with 26 grams of sugar (about 6.5 tablespoons). The Now and Later has 40 calories in each small bar. There is some misperception out there that York Peppermint Patties are healthy, but I’m not sure why. Each 13.3-gram patty has 50 calories and 9 grams of sugar. Tootsie Roll Snack Bars are also 50 calories each. That’s 60 calories for both the Blow Pop and the Tootsie Pop, and only 19.67 calories for the Dum Dum. Each Hershey’s Milk Chocolate Marshmallow Pumpkin has 120 calories, 17 grams sugar and 3.5 grams fat. One Halloween-size pack of peanut M&Ms has 90 calories, with 0.5 grams fiber and 1.5 grams protein. And those little nuts have protein, B vitamins, potassium and healthy fat. When you go trick or treating, at least you’re getting some exercise; however, I have seen parents sit in their cars and simply drive their kids from house to house. Shame on you! Get out there and walk the walk. Expect to burn about 176 calories per hour during a casual stroll. Healthy treats that taste good really do exist. For instance, Ghirardelli 60 Percent Cacao Dark Chocolate Squares (10.75 grams each) have 55 calories, but they also have at least 0.75 grams fiber, 0.5 grams protein and loads of antioxidants. Yes, they still have added sugar, but they’re certainly better than the chocolate candy typically handed out on Halloween. Do keep in mind, however, that chocolate has caffeine, so it may keep your kids up past their bedtime. And then there are Snackimals — Vanilla (Made with Organic Grains). Yes, they still have added molasses; however, they’re made with very few other ingredients, so the label is pretty clean (meaning no artificial this or that). Pick 100 percent whole-grain crackers with very few ingredients and no added sugar. I also like Dr. Krackers. There’s even a Pumpkin Seed Cheddar version — how fitting. Eight crackers have 120 calories, 4 grams fiber and 6 grams protein. The ingredients are organic whole-wheat flour, organic wheat flour, filtered water, organic oats, organic sunflower seeds, organic flaxseeds, sea salt, organic sesame seeds, yeast, organic barley malt syrup — nice. Along the same cracker lines there are also Mr. Krispers. You get 30 tasty crackers for 120 calories (compared with about 10 chips), and the ingredients are clean. Mary’s Gone Crackers — Original Seed Cracker are also fabulous at 140 calories, 3 grams fiber and 3 grams protein for 13 crackers. Popchips are also tasty, and you get about 22 popped potato chips for 120 calories, almost double the number of fried or baked chips you’d get for the same number of calories. And what about those fabulously delicious Triple Chocolate Chunk VitaTops? They have only 100 calories each, along with 5 grams fiber and other nutrients. Another good choice would be Brothers-All-Natural Freeze-Dried Fruit Crisps, which are nothing but freeze-dried fruit. An entire bag has only 39 calories. And last but certainly not least, Larabars mini-bars are lower in calories than other bars and are made with all-natural ingredients. They’re available in Whole Foods and Kroger Supermarkets nationwide. The suggested retail is $9.49 for 12. According to research done at Yale University and reported in the Journal of Nutrition Education and Behavior, children are just as likely to choose toys as candy on Halloween. For the study, seven households offered 284 trick or treaters between the ages of 3 and 14 a choice between comparably sized toys and candies. The results showed that the children were just as likely to choose the toys as the candy. How about these toys: pencils (visit this link for a way to make cute Halloween pencils), bubbles, play dough, Silly Putty. OK, you’re home with your kids post-Halloween. The kids are sorting through their take, and they’re loaded with candy or, in other words, junk. Obviously one day with candy is not so bad, but now you’re facing weeks of candy abuse. What should you do? How about trying a negotiation? Offer something bigger than the candy, maybe something that the child has wanted for a long time. See if he’s willing to make a swap. Sound far-fetched? Try it and you’ll be amazed. I’ve seen it work several times firsthand.